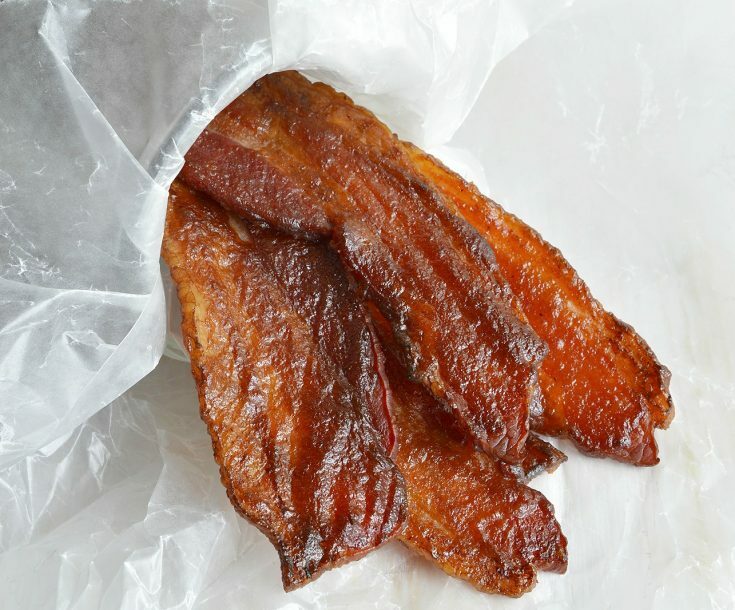 This Candied Bacon Recipe should be illegal. It IS that good! 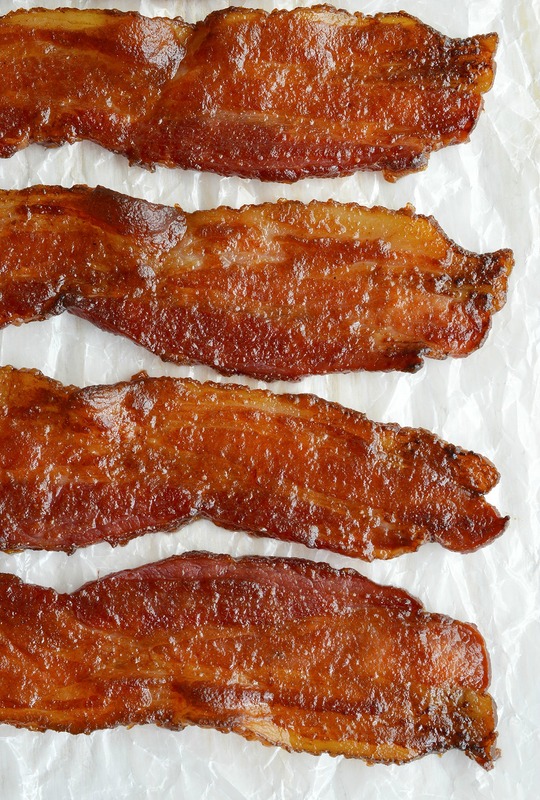 Just 3 ingredients make a glazed bacon that is sweet, salty, crispy and super addictive. 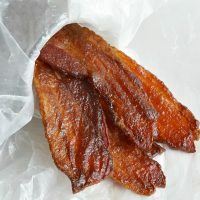 This apple butter glazed bacon is perfect for any meal or occasion! 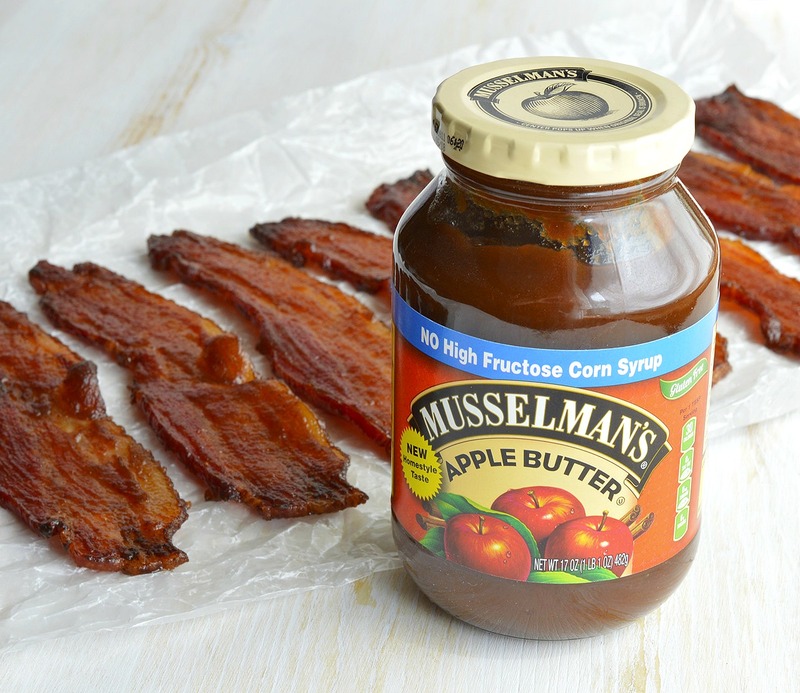 I am proud to be partnering with Musselman’s to bring you this tasty recipe! How can you go wrong with bacon? Just plain no-frills bacon is amazing. 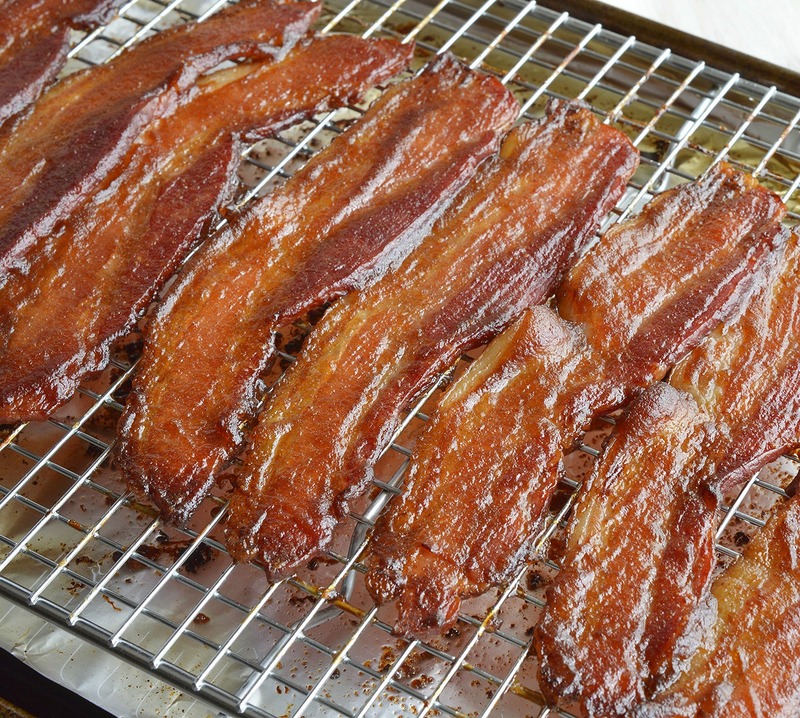 But for the ultimate bacon experience you must make this Apple Butter Candied Bacon Recipe! It. Is. Glorious. Seriously, this is bacon at a whole new level. Sweet, salty, crisp and smoky. It will haunt your dreams! Unlike so many other crave-worthy recipes, this is super simple to make. 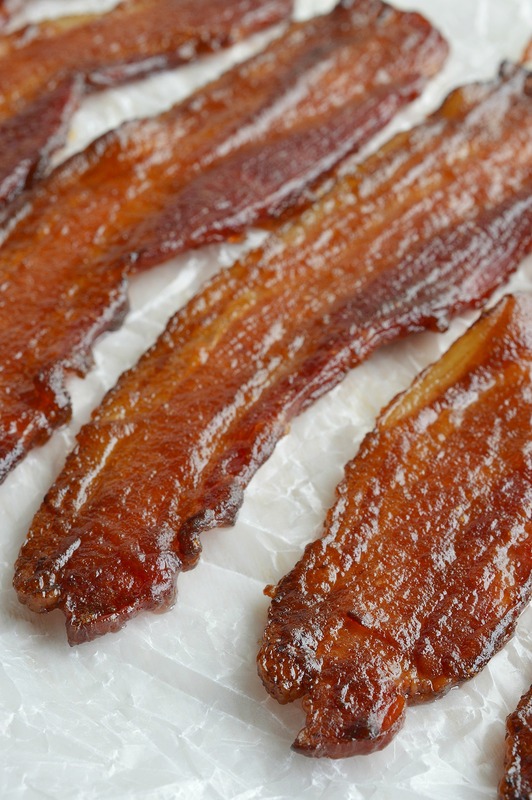 Just 3 ingredients are required to make this candied bacon. 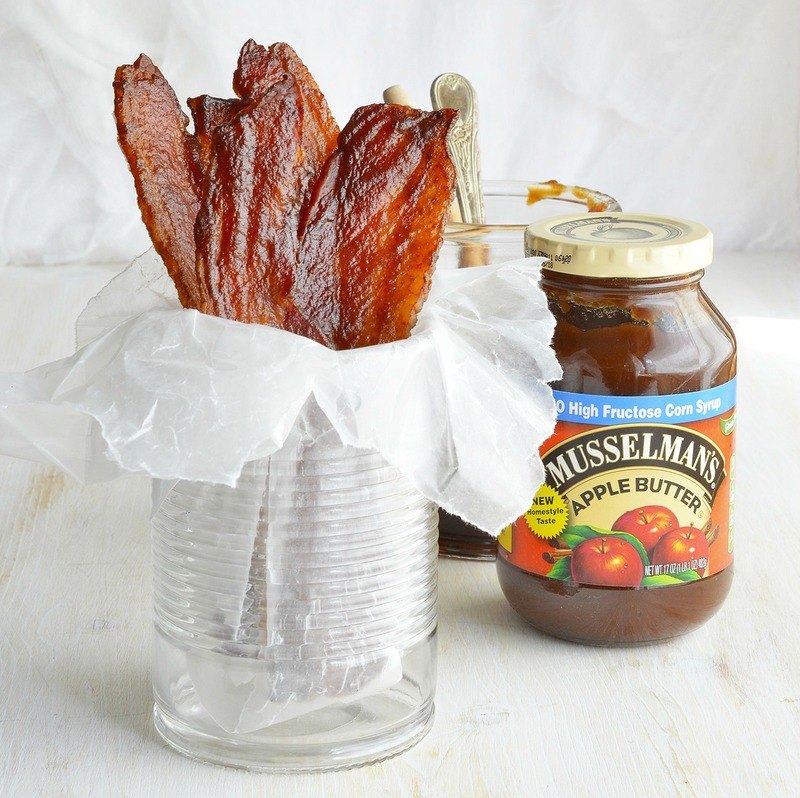 Musselman’s Apple Butter gives the bacon glaze a depth of flavor that is unbelievable. Add a touch of maple syrup to increase the sweetness. A bit of hot sauce is an option for those that want sweet, salty and spicy. This glazed bacon is oven baked. So no need to hover over the stovetop. Just bake on a rack, glaze then bake a little longer. ► SIGN UP ◀︎ for the Musselman’s Apple Butter eNewsletter and get exclusive tips, tricks, coupons and recipes! Or, Check Out Musselman’s on Facebook, Twitter and Pinterest for more recipe ideas! 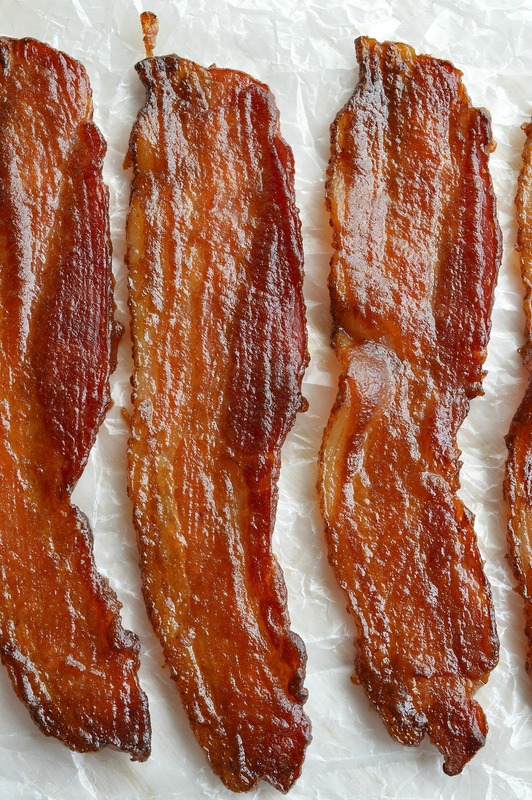 Have you ever seen a more gorgeous bacon!?!? I just love how the glaze glistens in the light. What can I say, I love bacon and shiny things! You may want to make extra. I have been known to put down a pound of this bacon within 24 hours all by myself. Hey, I’m not proud of it. But once you taste this bacon you will understand . . . willpower is absolutely impossible! 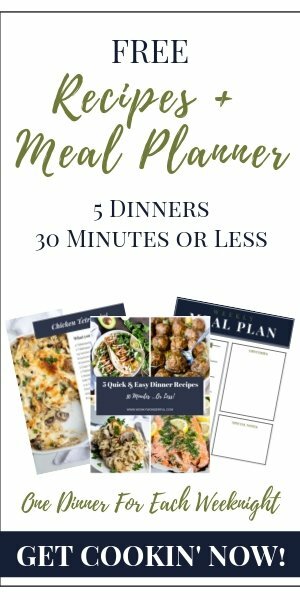 So the next time you want to treat yourself or impress some guests . 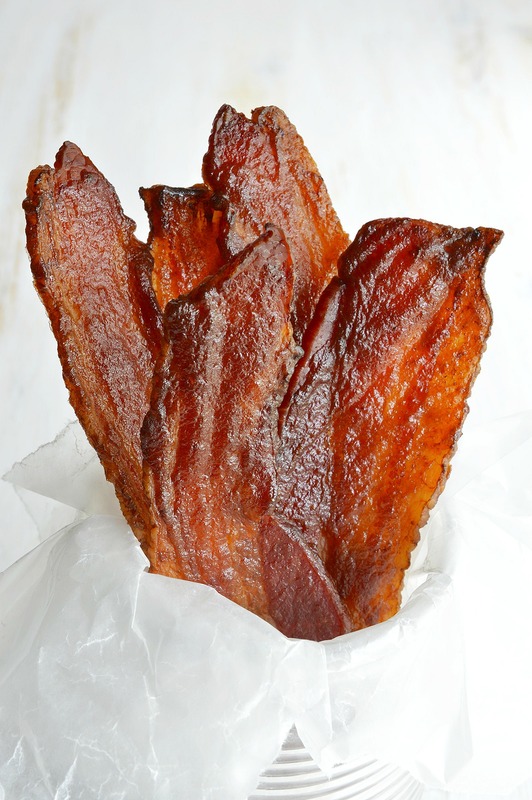 . . two words: BACON CANDY. The sun will shine brighter, the choir will sing and a wave of deliciousness will consume your body. Anyone lucky enough to sample your beautiful bacon will beg for the recipe. Line rimmed baking sheet with foil. Place a metal rack on top and spray with nonstick. Layer bacon evenly on top of rack. Bake for 30-35 minutes or until edges begin to lightly crisp. Mix apple butter, maple syrup and hot sauce. Remove bacon from oven and brush each slice with glaze. Flip bacon slices and brush with glaze. Bake for 15-20 minutes or until sizzling and dark (but not burnt). Keep a close eye the last 5 minutes as bacon can burn quickly. Remove and allow to cool. Bacon will get crispier as it cools.